A Plaxton Panorama Elite bodied Leyland Leopard PSU3B/4R. It started life with Southdown in September 1971, initially based at Chichester, but later at Worthing, before withdrawal in April 1988. It then passed to Weller, Midhurst, West Sussex, before it was sold to Taylor, Sutton Scotney, Hampshire, where it was promptly re-registered XYC 561. It passed to Anderson, Langholm, Dumfries & Galloway in August 1995 and was immediately re-registered TJI 6310, passing to Fitzsimons (Highfield Coaches), Harker, Cumbria in March 1998, before returning to Anderson the following month. 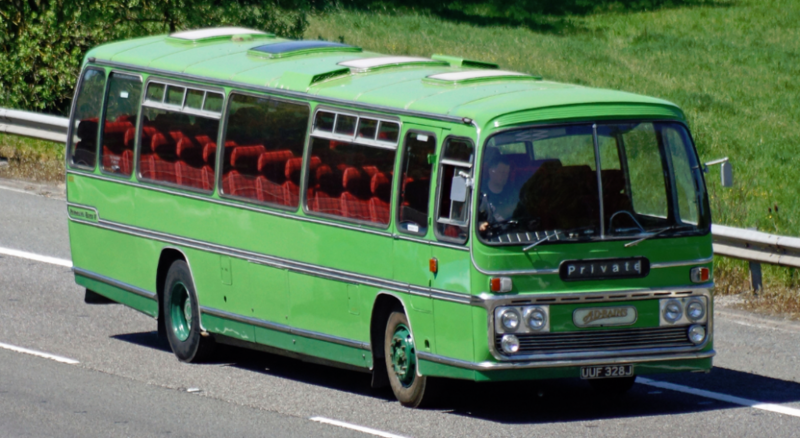 It found its way into preservation with the Southdown 1828 Group in March 1992 and was reunited with its original registration in June 2003.